← Insurance Industry vs. Hospital Industry: Who Should Consumers Believe? 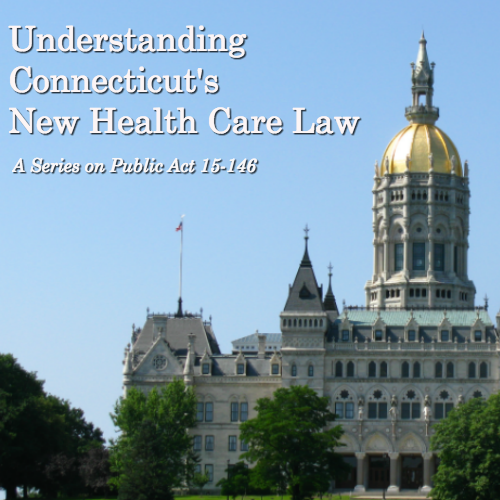 This is the second in a series about SB-811, a landmark health care bill that passed in the Connecticut General Assembly this year, now known as Public Act 15-146, An Act Concerning Hospitals, Insurers And Health Care Consumers. In this series, we will examine the different elements in the larger bill, as it collected a wide range of new laws and changes to current laws. Today, we tackle those pieces that address changes to the Certificates of Need process. What’s a Certificate of Need? Before we dive right in, a little bit on Certificates of Need (CON). The new health law also changes certain aspects of the Certificate of Need process for hospital sales. The purpose of many of the changes is to ensure that a hospital sale, especially one that makes a large health system even larger, doesn’t make getting care harder to access, unaffordable, or of poor quality. Most major changes in the CON process for hospital sales went into effect on December 1, 2015. This means that any Certificate of Need applications submitted on or after this date will be reviewed and assessed under these new statutes. Current deals being reviewed by OHCA (Yale-New Haven Health System’s proposed acquisition of L+M Hospital in New London, Prospect Medical Holdings’ pending deal to purchase Waterbury, Rockville and Manchester Hospitals) are not held to these new rules. CON law now requires a cost and market impact analysis for hospital sales where the purchaser is for-profit or a non-profit with $1.5 billion in net patient revenue for 2013. The idea behind the cost and market impact analysis is to examine cost, quality, access, and affordability in light of the proposed transaction, as well as allow consumer concerns to be brought to light. Note: A quick examination of this table from OHCA (which shows financials for hospital systems in 2013) demonstrates that there are two hospital systems in the state with $1.5 billion in net patient revenue for 2013 – Yale-New Haven Health System and Hartford HealthCare. The law also requires OHCA to deny a hospital sale if the affected community will no longer have access to high-quality, affordable health care. It also allows OHCA to deny a sale in any deal where increases in price will make care unaffordable. OHCA can approve a CON for a hospital sale, with conditions. But OHCA must also take into account the burden of these conditions on the hospital. OHCA must state the legal and factual basis for the conditions; the hospital can request relief from some conditions, based on good cause. A compliance reporter is now required for approved transactions where the purchaser is for-profit, or a non-profit with $1.5 bilion in net patient revenue for 2013 (again, Yale-New Haven and Hartford HealthCare). The purpose of the compliance reporter is to ensure that any conditions on the transaction are adhered to. It also includes a mandatory annual public hearing, where the compliance reporter’s findings will be presented. If the compliance reporter finds any conditions are not being met, a performance improvement plan must be created and followed. Public hearings are now mandatory for all hospital sales in the municipality where the hospital is located. Under the new law, CON applications now have to include names of certain officials in the hospital and any financial gain associated with approval of the deal.